If you are considering buying a home, you are not alone. The Charlotte market area has seen a rise in recent homes sales and the good news is there are still low interest loans available. We can provide you some simple guidelines here today to assist you in owning your next home. 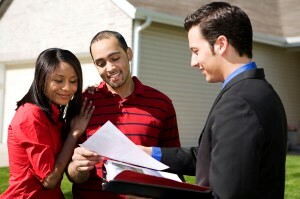 A Loretta Realty Group agent is trained to guide you through each step of purchasing your home. Our agents know the market inventory, the ins and outs of financing, and which lenders save you money. They show you what you want to see, when you want to see it. We will customize an internet search engine with your home requirements to afford you the opportunity to search through hundreds of listings in the leisure of your own home. We also will set you up with an CMLS web portal. Loretta Realty agents are trained negotiators. We will help you secure the home of your dreams negotiating the best possible terms in your offer, counter offers, home inspection, repairs and attorney services. We have a fiduciary responsibility to make sure that we are always working for you. Nothing can be more disappointing than to realize well into the home search that your price consideration range might be a little less than you were expecting. Property taxes and home owner’s association fees should also be part of your monetary consideration. It’s always very important to get Pre- Approved for a loan right away. The Pre-Approval process means you will work with a lender who has verified your financial information and guarantees you financing. The Pre-Approval letter insures you and the seller that you are in good financial standing to purchase a home and provides you the peace of mind that you are well within the guidelines of your budget. We are ready to start previewing the homes you pre-selected from our internet search. We can readily identify which homes you saved and see all your notes in advance of our visit. We will share comparative sales information with you, estimated property taxes, estimated home owners association dues and property disclosures so you can have as much information as possible before writing your offer. Let us put our skills to work for you and negotiate the best possible terms for you based on your purchasing priorities. From the home inspection to the closing table we will be there with you with every step. We want to the first person to say, “Congratulations on your New Home”.